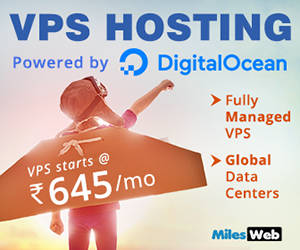 You all might be aware that it is recommended to disable the admin reset link on WHMCS as a secure measure. So, many of you might have disabled it. Suppose you lose the admin password you won’t be able to stay in touch with your business. 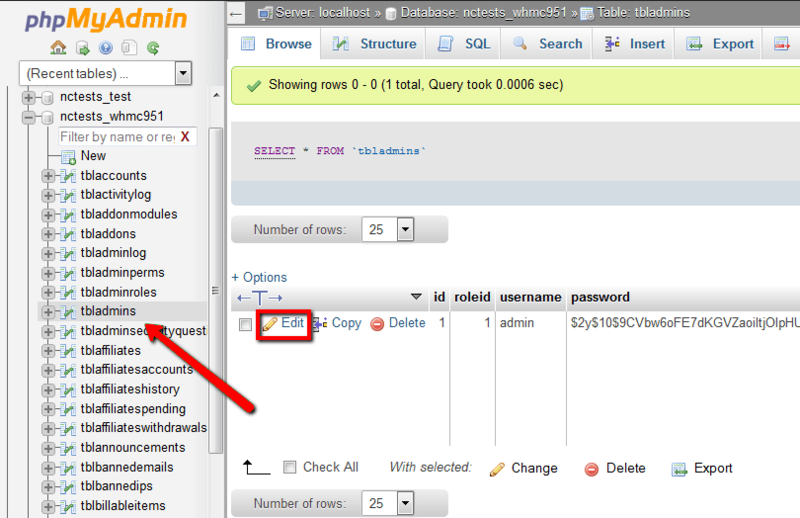 No need to worry as you can reset the WHMCS admin password via mysql. 3. 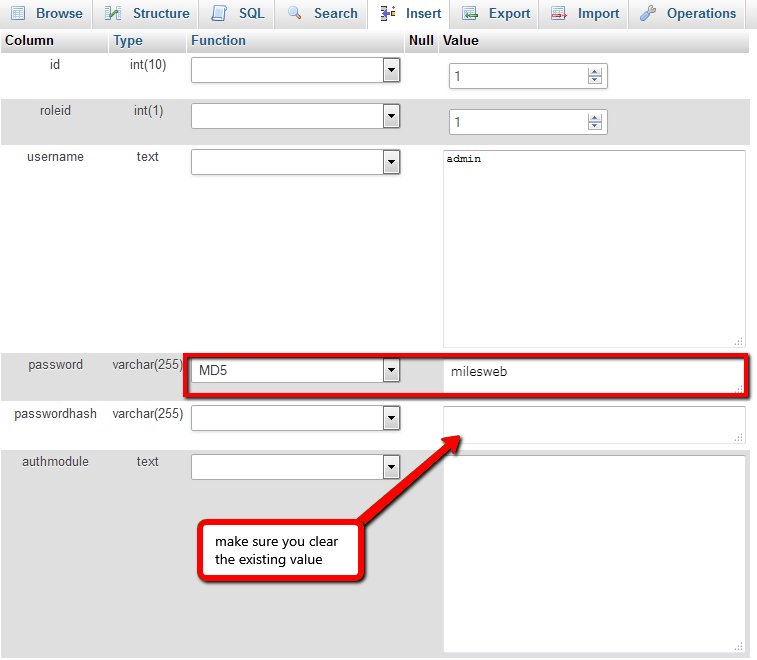 Search for your WHMCS database in the left sidebar navigation of phpMyAdmin and click on it. 4. Next you need to search for the table “tbladmins”. Once you select the table, click on “Browse” and then find the administrator for which you want to change the password and click on “Edit”. 5. On the next page, go to the “Password” section and select “MD5” from the drop down menu and then type your new password. 6. 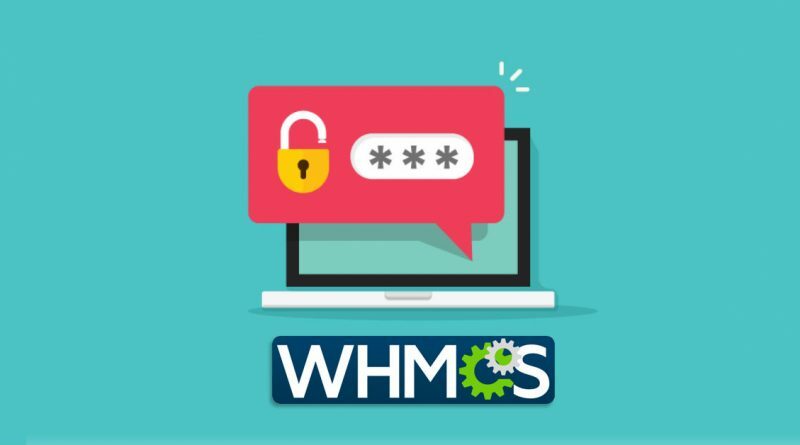 Click on the Go button and then try logging to WHMCS with the new admin password. 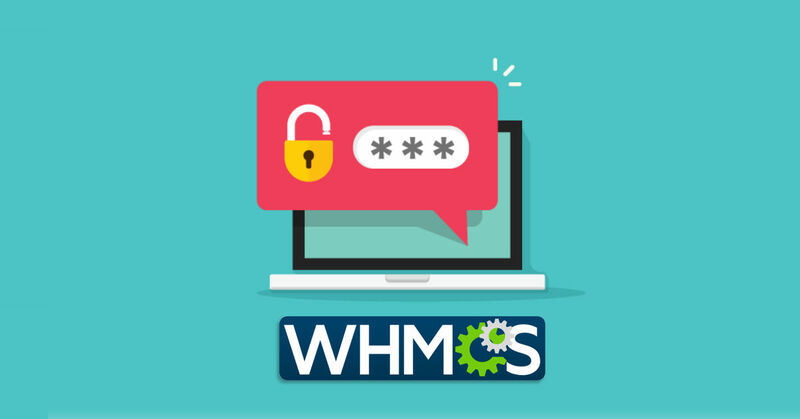 So, this is a simple process to reset your WHMCS password. 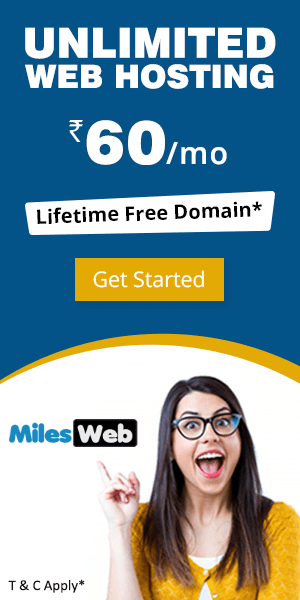 This is a modified cPanel module. Please contact the maintainer for support.